The Function Formed oil spout accomplishes 2 things. First, the sleek FF spout design is a fraction of the size of the bulbous Jethro Bodine factory oil spout. Second, the dipstick screws into the spout body to eliminate the problem of stock dipsticks popping out especially with modified motors. The use of the Function Formed oil spout with the BAKER OD6, Screaming Eagle & S&S 6 speeds eliminates the need for factory oil spout spacers. Both for a cleaner installation and to eliminate the need to re-route the factory formed rubber oil breather line. -5/8-18 Thread-in, 6061 billet dipstick. The stock push in, tension hold dipsticks will commonly blow out with high RPM riding light to light running. -Compatible with all LSD gearsets/ bearing doors on the market for 1993-2006 FLH/ FLT Models, No need to use spacers or worry about routing the breather line. 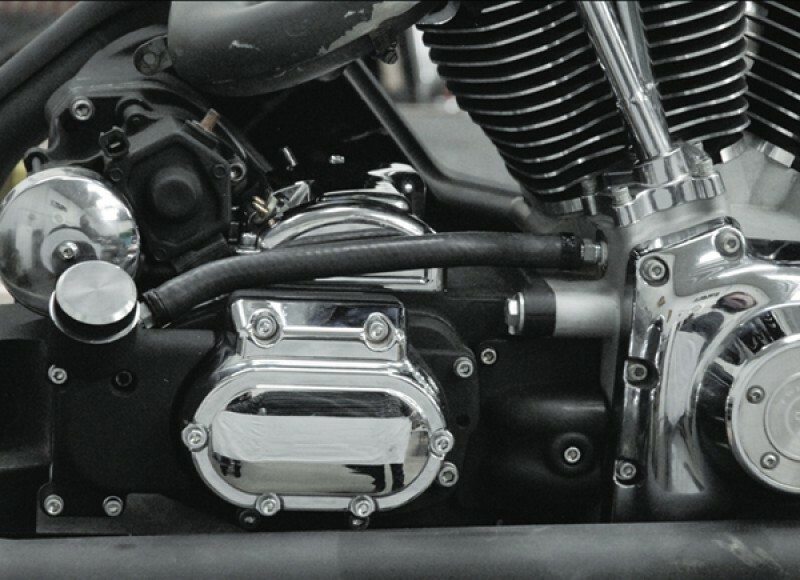 -Polished 303 stainless hard (3/8″ OD) and braided line breather line assembly on Twin Cam models. All part numbers above include a dipstick. 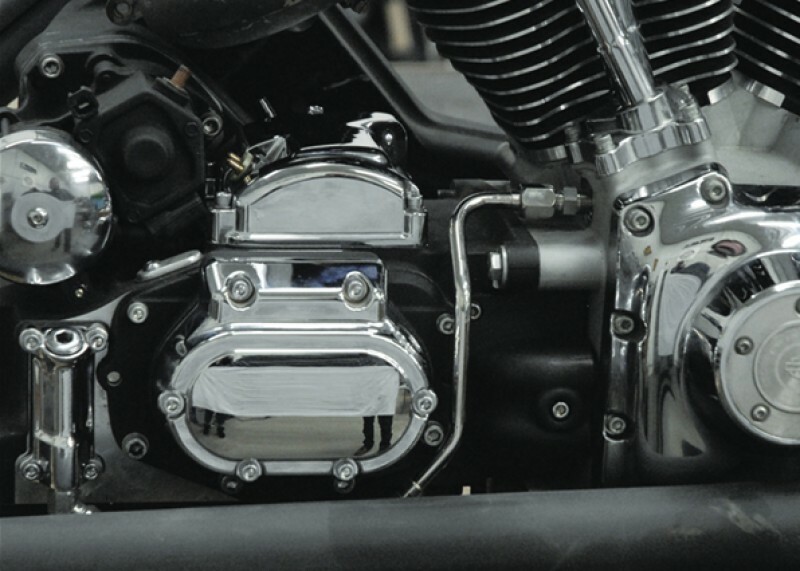 S&S Twin Cam Motors require a SAE #6 fitting for the breather vent, while Harley Twin Cam “A” Motors require a 1/4″ NPT line fitting. Please specify which motor you have when placing your order.